Please notice how DRIVER is repeated in both mast-cam images! Martians Putting Dead Creatures In Massive Body Bags! Four images verify each other ! To clean up Mars after the terrible cataclysms that ended their civilization on Mars! And forced them to go underground until this very day! Lower two at bottom, the right one is zoomed in more! Comparing an object or objects similar in a pattern or style to another object or style in separate or same nasa image etc. "Repeats" mean images that repeat patterns the way sculptures and figurines are designed ! Similar "Heads" Appear In Two Different Photos ! Navcam black and white photo was originally commented on at: "Subtle Mosaics" ! which I commented on earlier in the year. Martians seem to use faces possibly as "what a person thinks" so is he (based on a famous quote). It seems there is a possibility that being so much of what Curiosity is taking photos of is dedicated (I think) when Mars lost it's atmosphere in extreme antiquity on mars. The Martians used "stone like heads" as representations of how they had their planet ruined: by large stones that fell from the sky in extreme antiquity ! Just a guess, but as I see these heads repeated, It makes me wonder all the more! little objects protrude out of the 2nd "knuckle" like form! Please notice how Martians have a repeated vocabulary in their sculpture styles. Arms Holding Massage but in Separate Curiosity Images ! their atmosphere in ancient times, Why? Because their are not sea creature on Mars today. The oceans disappeared, way, way far back in Mars distant past. This is another clue that Curiosity Rover must be in a type of memorial area, dedicated to the loss of sea creatures and other creatures in ancient times! And of course much more dedications to Martians ancient disasters, when most was lost on their surface in it's ancient past! Tiger hit by catastrophe but with different views of how it hit him! I wish people would understand how sophisticated Martian artistry is! looking to the heavens in terror, because a catastrophe of rocks and objects are falling upon it! Please notice how close it looks to a tiger! That is important because in another image of the same sculptures, are what looks like a tiger being pelted and it's mouth is broken up. If you look close, you can see how Martians repeat themes in their sculptures but with different views of the same theme etc. tube! But notice in the third and fourth image below, the tiger's mouth is broken up. there seems to be a correlation ! Part of the same image, please notice how the whole image (both of them) tie-in! "tiger looking animal theme, but complete terror raining down. Maybe the tiger's last days on Mars in ancient times, when Mars lost it's atmosphere and it's surface, when their were animals living in abundance ! Prong-like extenders that further convey the Martian story-line in sculpture form ! Please notice how another image below has a small rabbit-face looking figurine, and it ties into the larger sculpture above it ! Please notice how both Curiosity images show Martians utilizing tie-ins or prongs to further their story line in sculpture form! Two Separate Images Of Birds Having Falling Rocks Near By! Other image with caliper on left side is from "Startling 2" image on my menu! ​sculptures as we english speaking people have the alphabet. 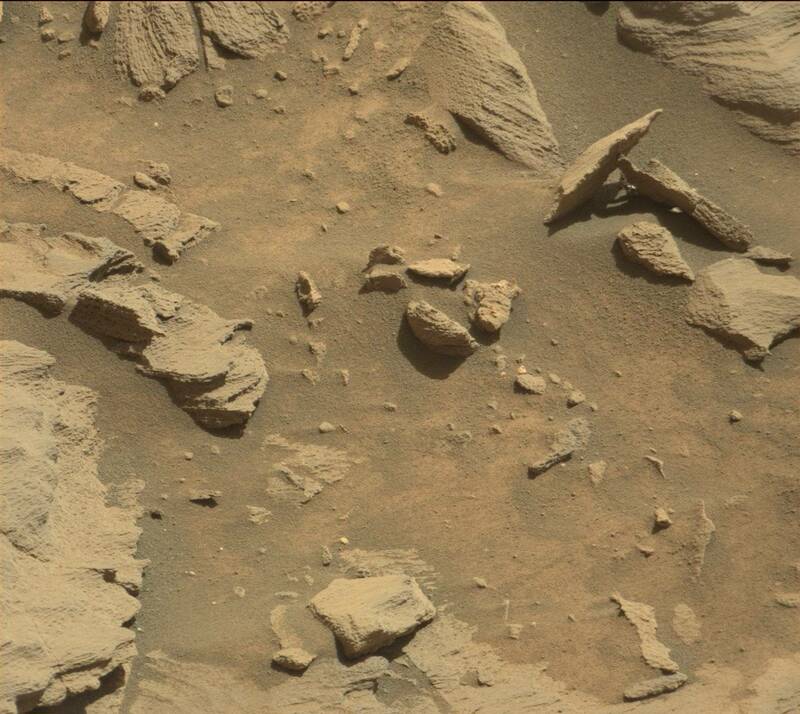 Clearly Martians are telling stories in sculpture-diorama like form. And what I see on a constant basis truly seems like representations of when Mars lost it's atmosphere. This effected them so much that they seem to have large sections of land dedicated to their From what I read is a result of a solar flare, and that is referenced in Ernest Norman's "The Truth About Mars book available on line and the link is in my "Martians" category. More OBVIOUS flow patters ! Sea creatures etc. going into the Martian "Trash Heap" of history! And they ARE telling about it in front of YOUR eyes! Please ZOOM in to see clearly! Repeated Flow Patterns Of Small Sculptures Or Imprints! That have the appearance of sea creatures etc! 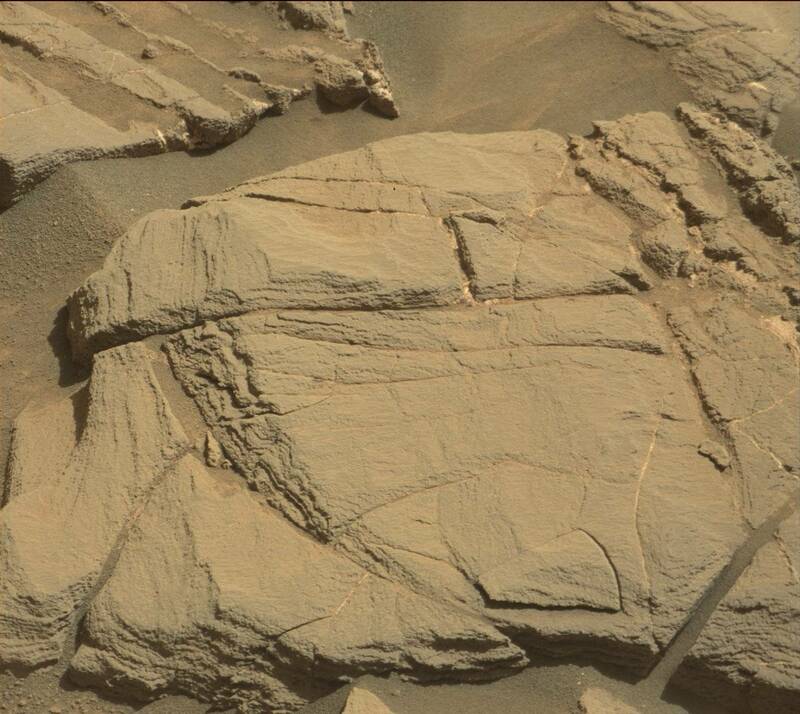 Repeats and patterns seem to happen at a lot of places in the sculptures on mars. Here is a good example ! is going to VERBALLY say much at all. 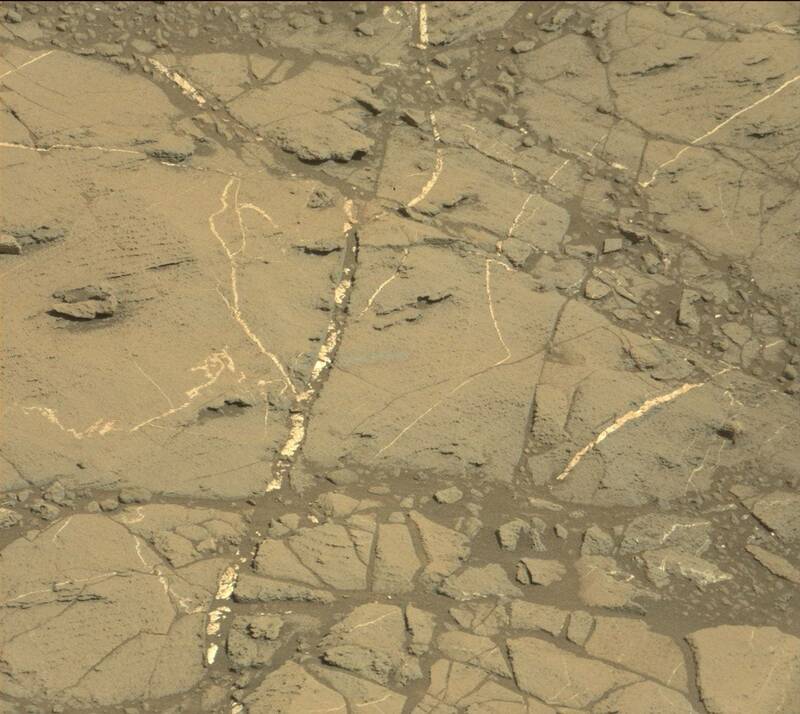 They DO leak important mars images obviously to me. But it is not I'm sure, what they have storied up in their private database that they don't share with the public! Notice how both are tilted ! Three Major Image Mascam Comparison Of Why I Think It Was A Two-Mars Solar Flare Impact That Ruined Mars In Extreme Antiquity! "hats" of authority, such as a policeman's hat etc. As aids in meaning to their sculptures ! help in manipulate falling food from getting into places it shouldn't and others trying to eat selected food manipulated by "fingers" ! July 30th, 2016 added ! A Solid Circle And A Matrix Opening With A Similar Outline ! Compare the two separate images! ​Please look close and zoom in, mouths seem to be all over this image. And might I say, mouths play a VERY important role through out thousands of Curiosity Rover images. And it is such a major theme that leads me to believe that Curiosity has been allowed by martians to be in sea creature type memorial areas. Of course not the only thing, but it does seem to play an important role in helping understand whey we are seeing so many sculpture dioramas that seem like devastation. I truly think these plots of land representations are homages to the martians lose of atmosphere, sea creatures, oceans, rivers etc. A very long long time in mars ancient past. But was recorded because they are and have been an advance civilization for thousands upon thousands of years, if not over a hundred thousand years or even much more! A civilization that HAD to go underground to survive when a solar flare hit and had only a limited time to build underground cities etc. In Ernest Norman's book: The Truth About Mars, he claims through mental telepathy he states 200 years to build and get underground. to make them too thick, it would ruin what the original photo is! Please zoon in image below ! ​The mouths repeat over and over! The larger bear seems to be coming out of the right side of the line ! ​And the smaller bear coming out of the left side of the same line! Five figurines that seem to each have a similar pattern! Here is a prime example of five figurines etc. They repeat going from very small and growing larger. represent thatit is doing that! 1. Arm and hand seem to be represented as coming from "white" streak ! you really can't seem them clearly to get a better understanding of what they are ! I KNOW this is true so far. But who knows in the future ! are trying to show ! ​ things clearer in their images. Many days they are not that giving or generous in what they reveal!